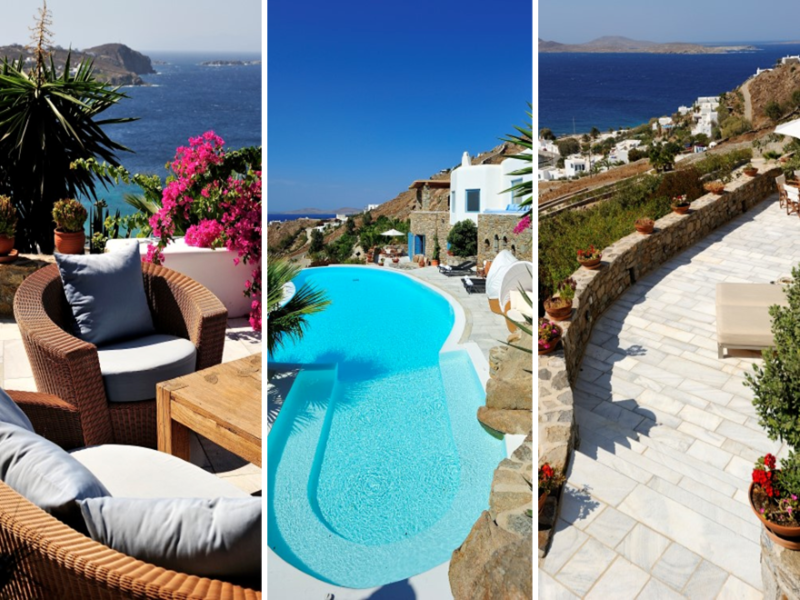 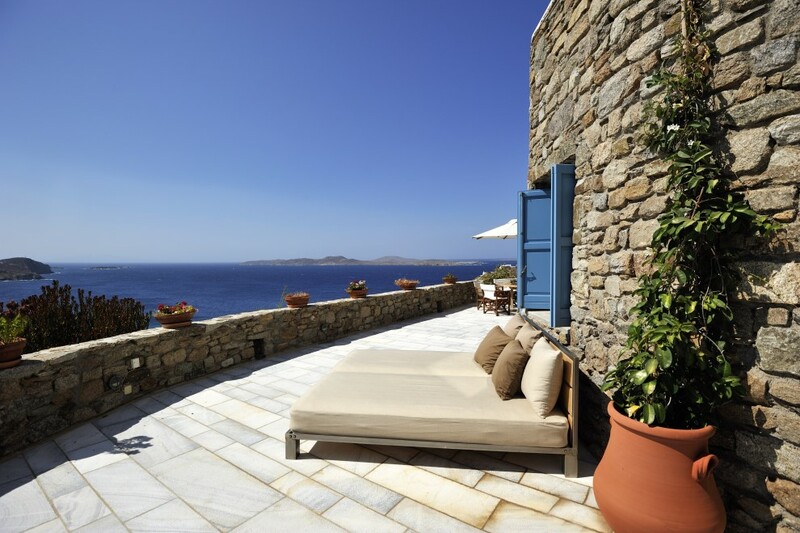 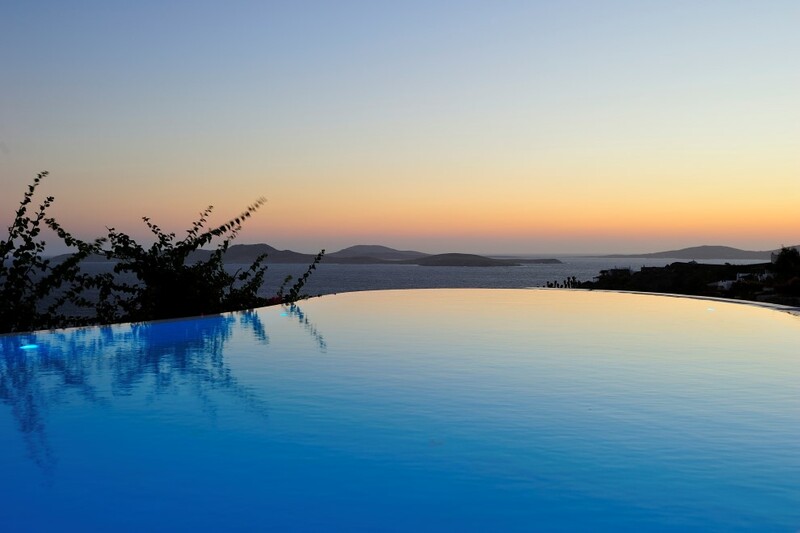 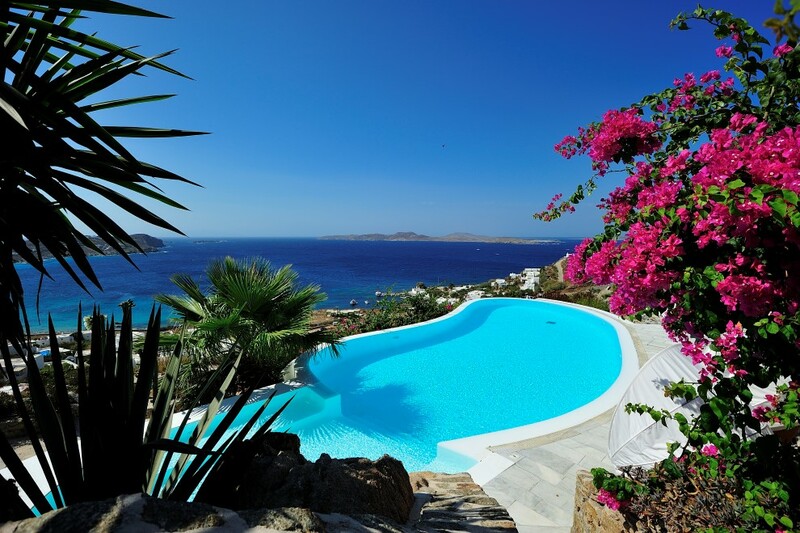 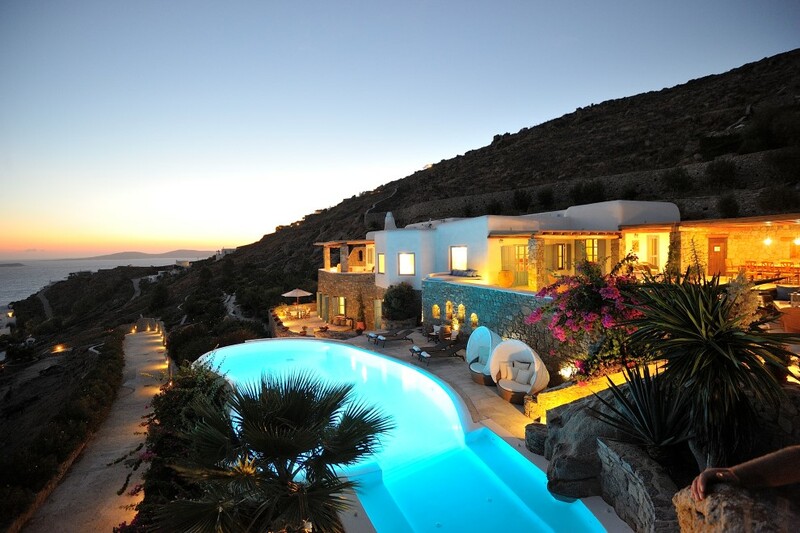 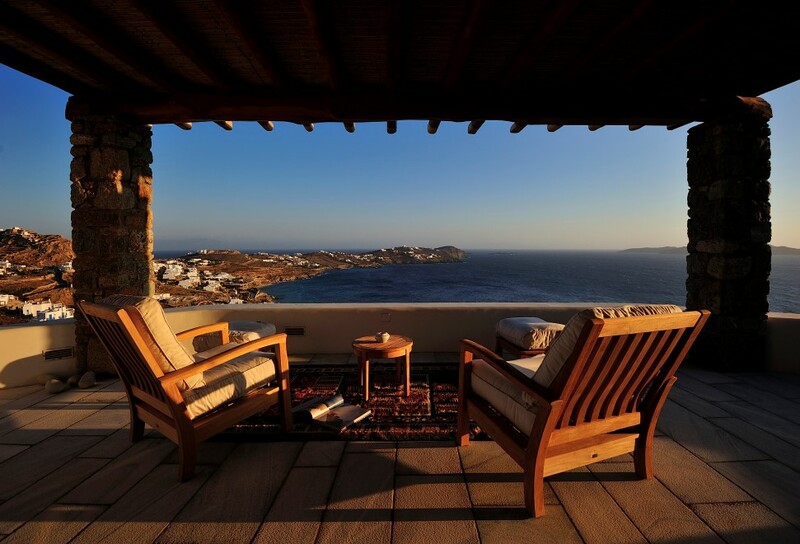 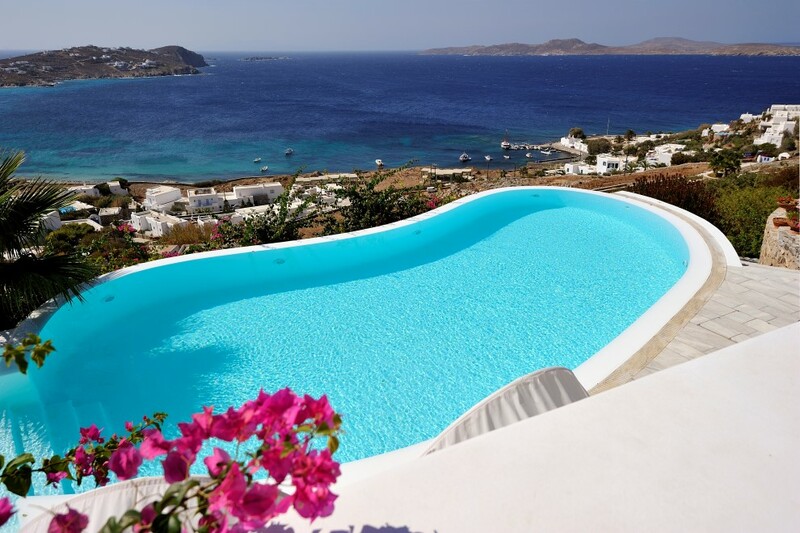 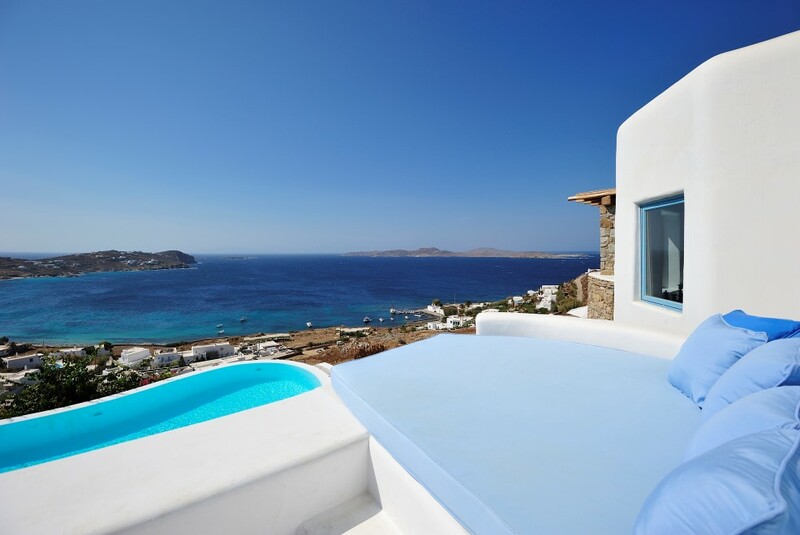 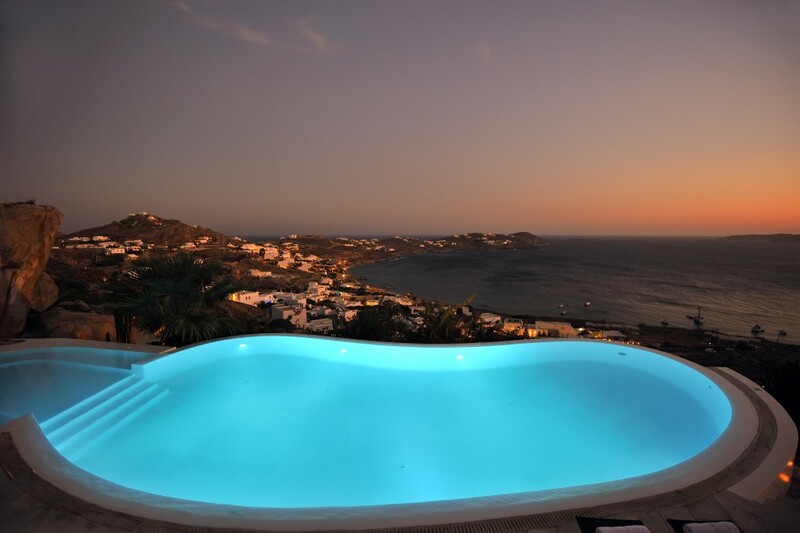 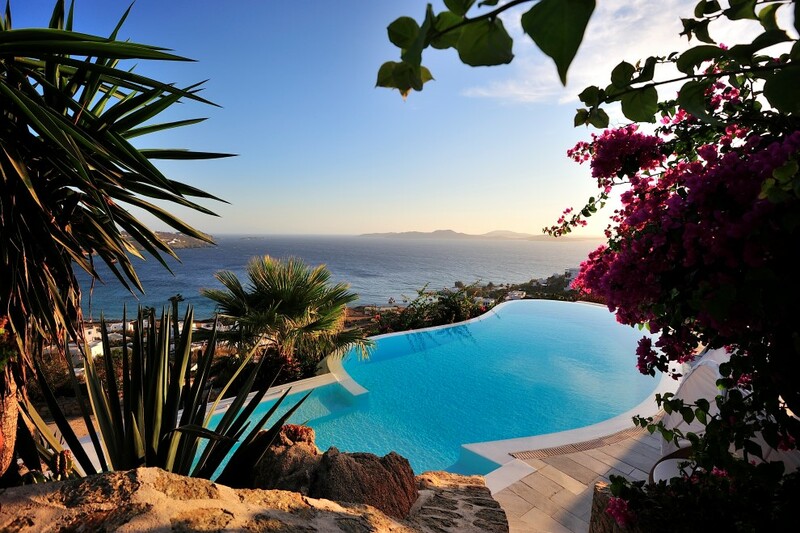 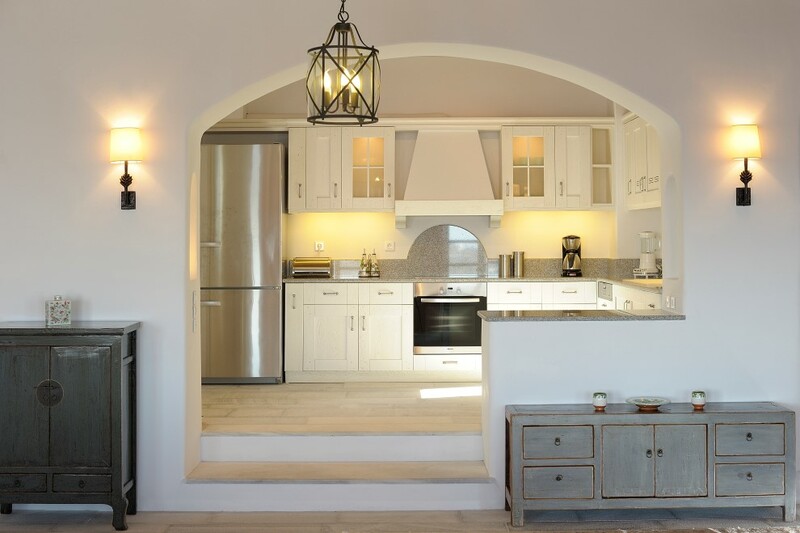 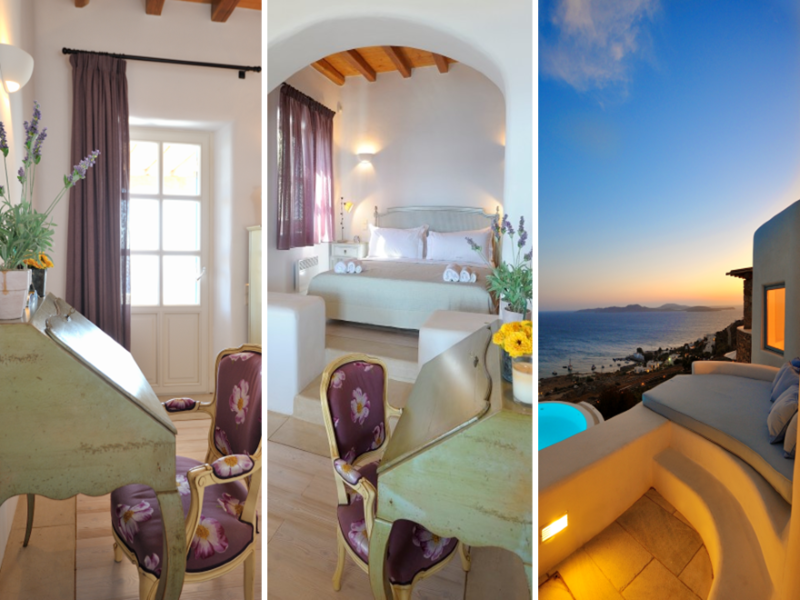 In the beautiful area of Saint John in the south-west of Mykonos, villa “Mystique” offers gorgeous views to the picturesque gulf of Saint John together with the ancient island of Delos, which emits light and energy, and the infinite blue of the Aegean with the breathtaking sunsets. 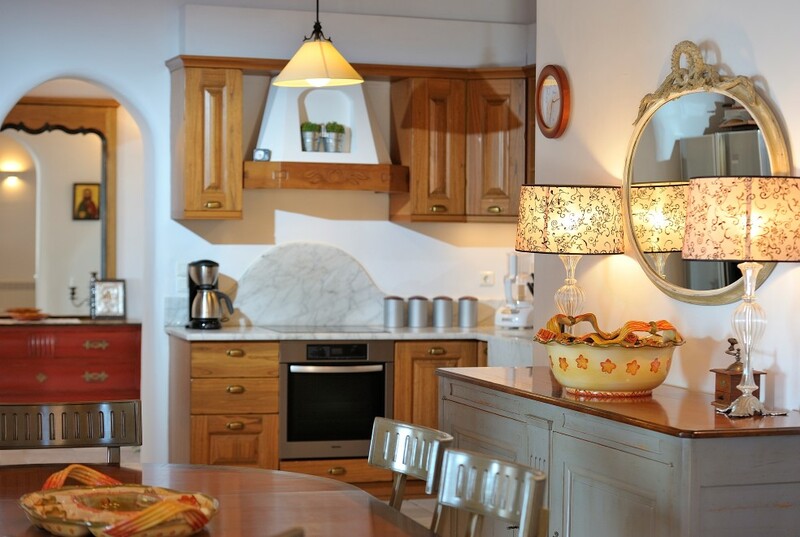 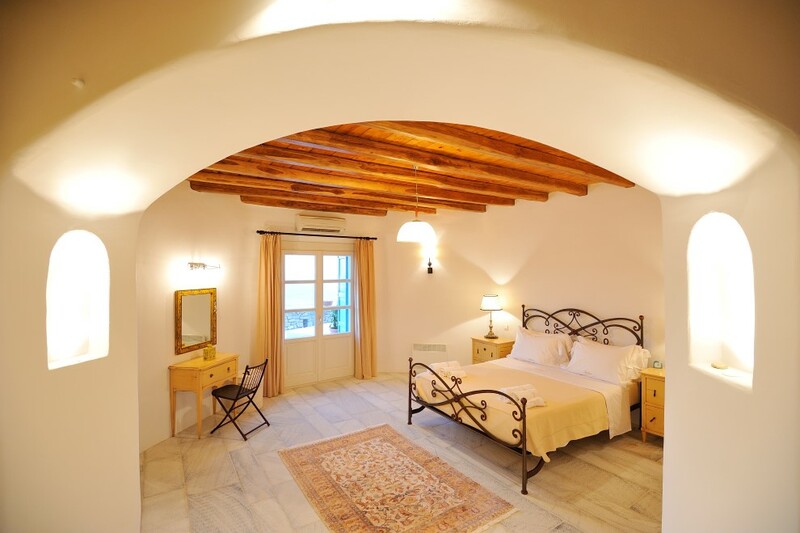 Its privileged location offers guests tranquillity and incomparable convenience for comfortable and quick escapes since the villa is within walking distance of the beautiful beach of Saint John with its golden sand and the cosmopolitan restaurants. 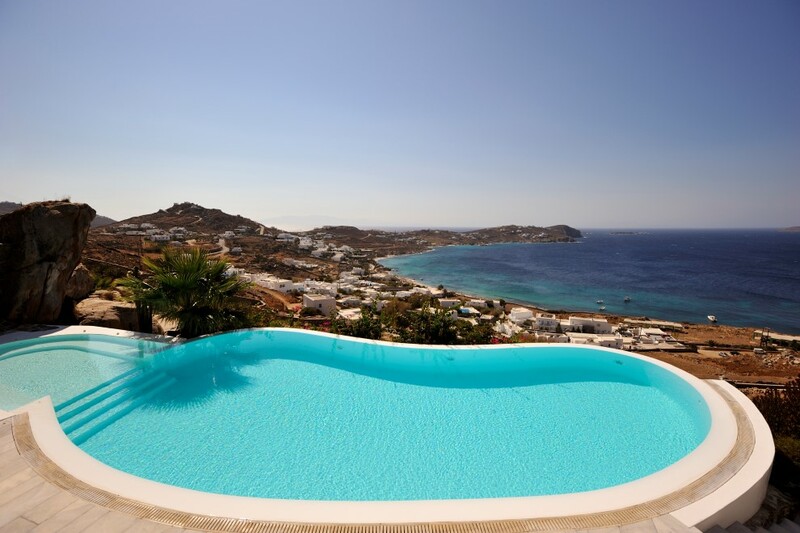 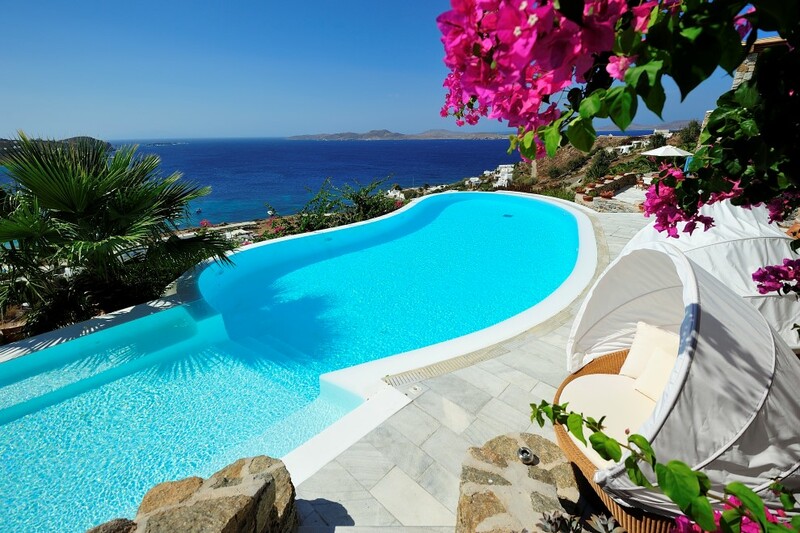 Close by is Mykonos Town and the island’s southern beaches. 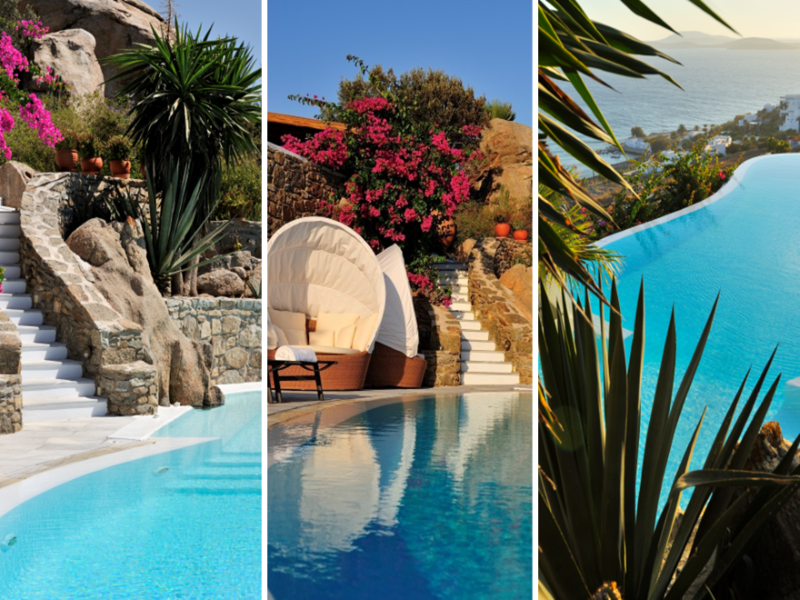 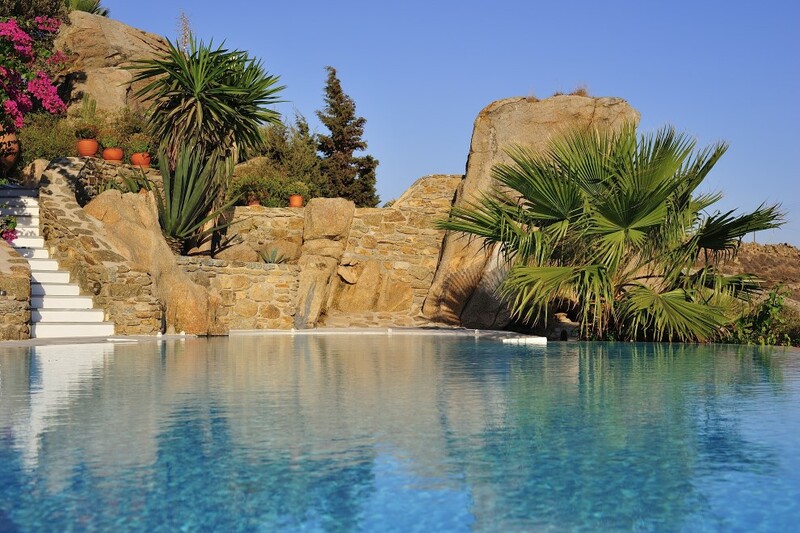 Villa “Mystique” is built on a plot of 5,000 m2 and is filled with thousands of colourful flowers; bougainvillea, age-old olive and palm trees that calm the senses and create a romantic atmosphere of relaxation and wellness. 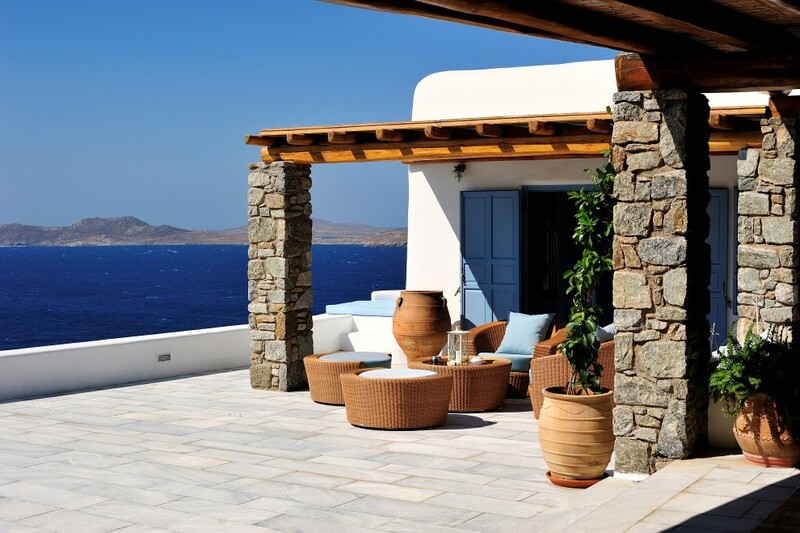 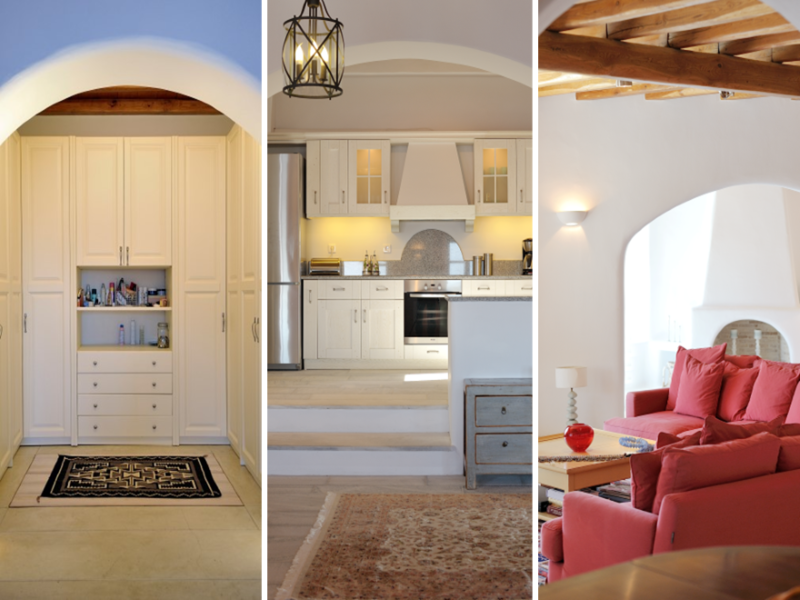 Its architectural design impresses with the harmonious coexistence between the traditional and the modern architecture of Mykonos. 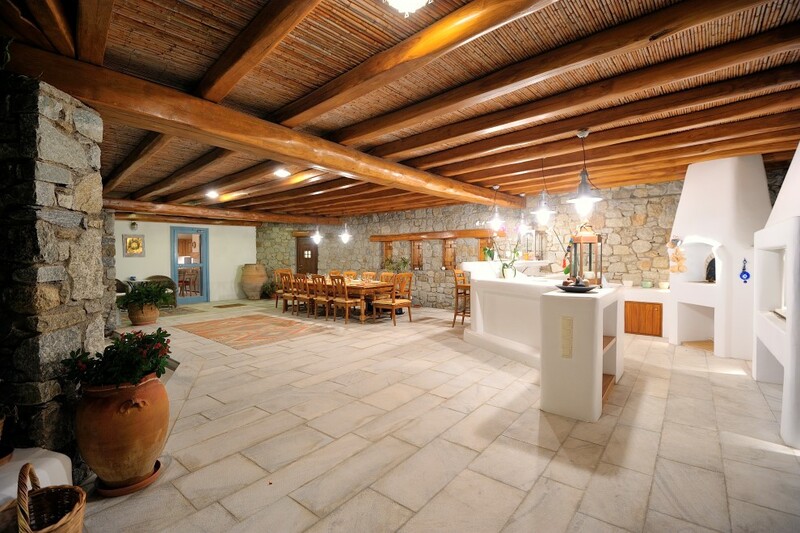 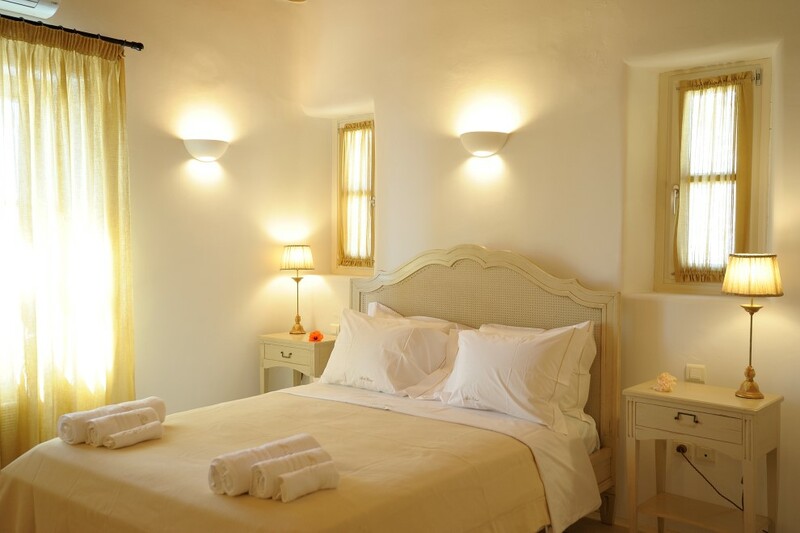 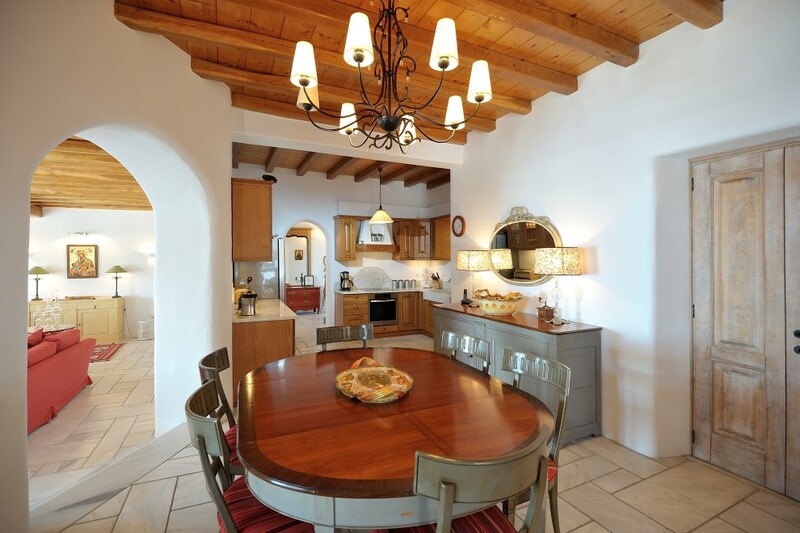 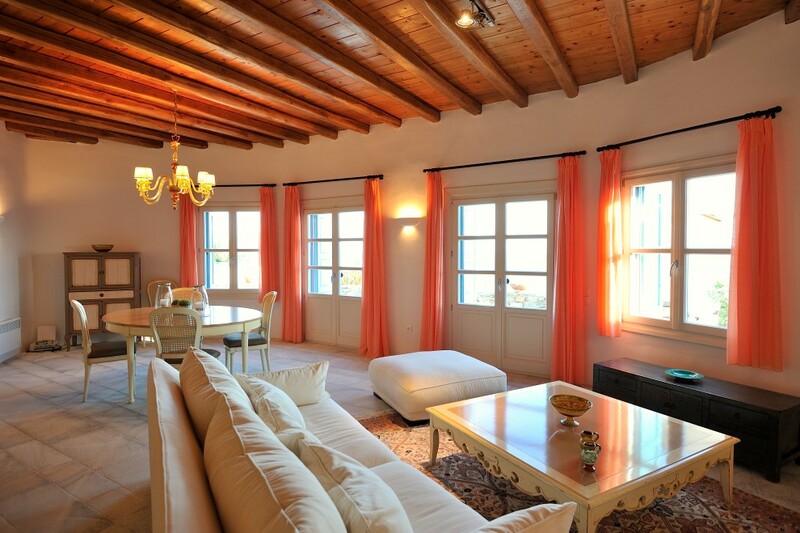 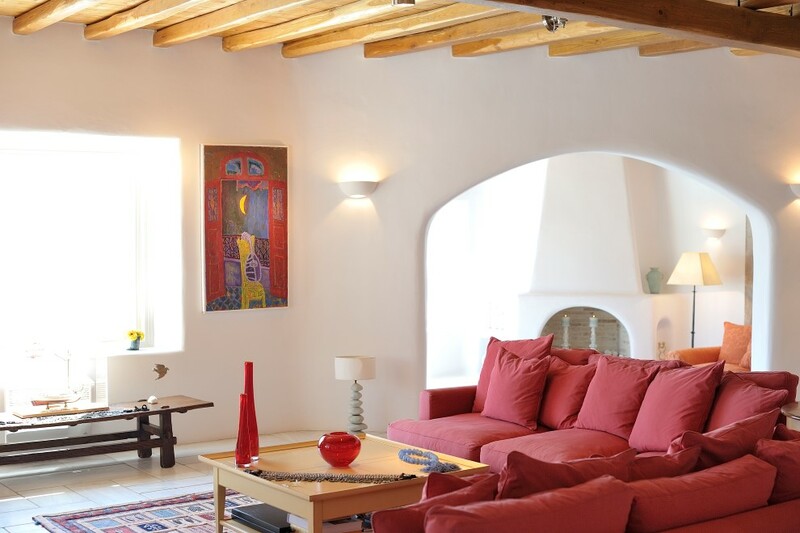 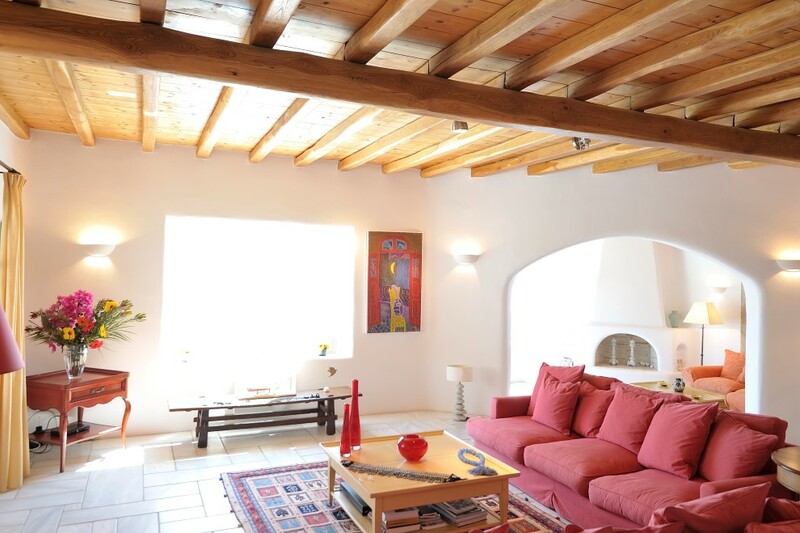 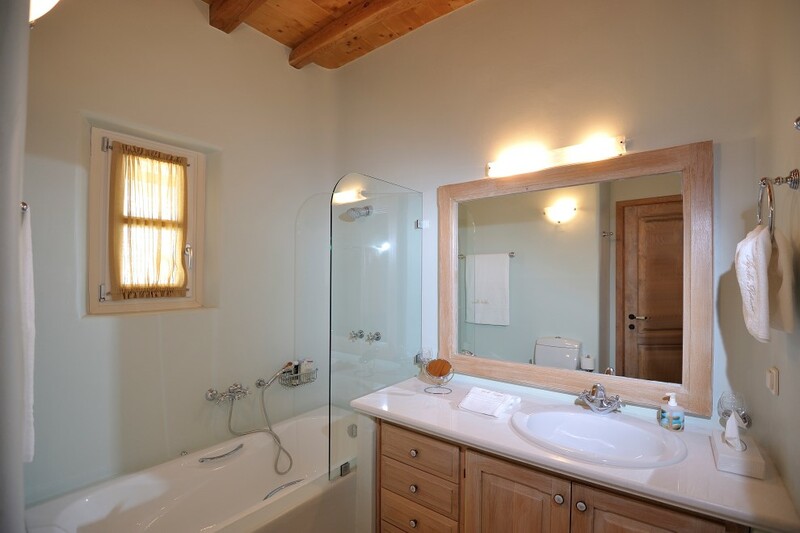 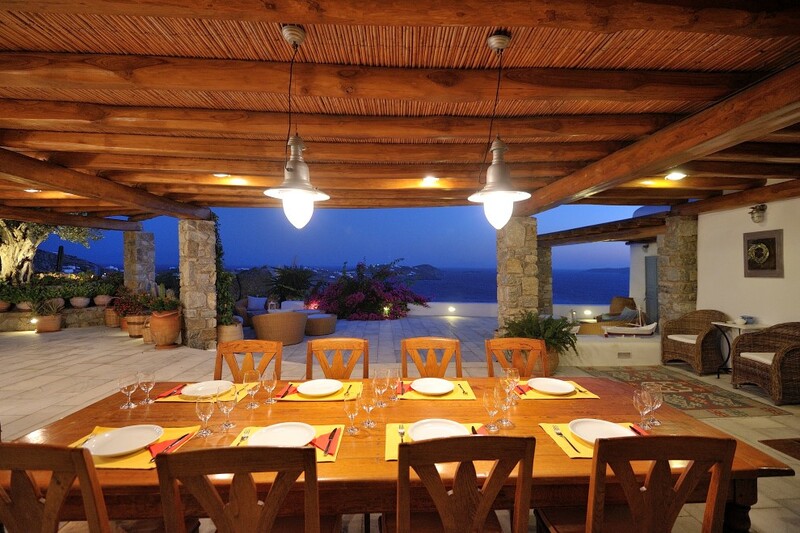 The villa unfolds onto two levels, comprising the main house and an equally comfortable and beautiful guest house. 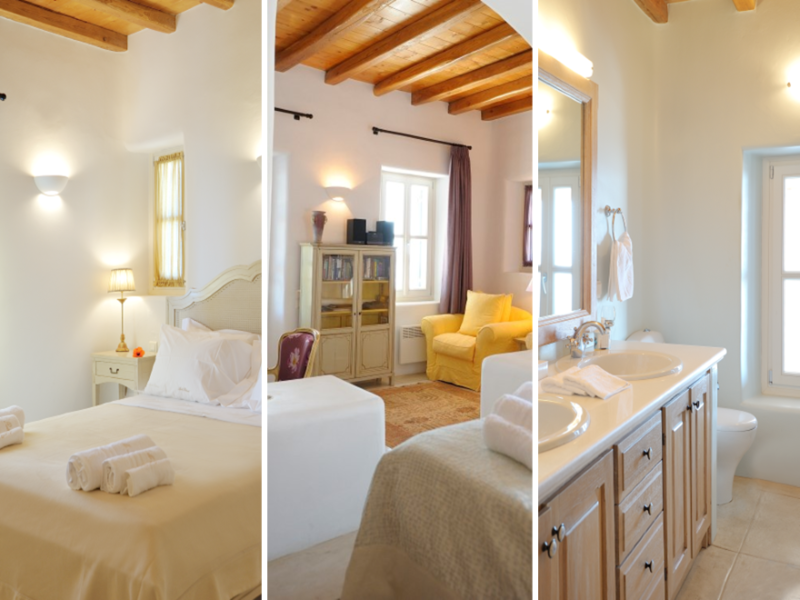 The interior of impressive spaciousness, quality and elegance predominates as it is carefully furnished with chosen furniture by famous designers, works of art and paintings that create an atmosphere of charm and elegance and an environment of high-quality accommodation that fascinates. 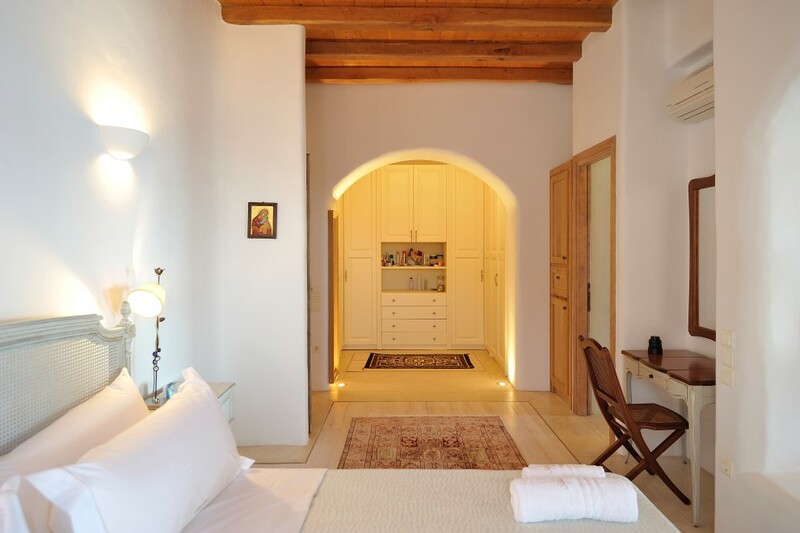 The absolute spaciousness offered by the bedrooms and their arresting aesthetics calm the senses and compose an environment of unique hospitality. 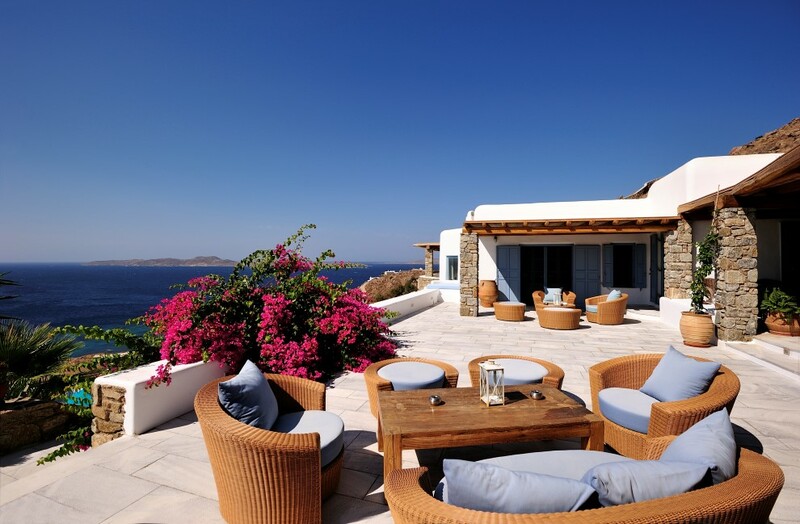 In the grounds, the numerous outdoor comfortable seating areas predominate along with a large pergola providing shade to the outdoor dining-table, with the perfectly equipped bar and the traditional oven, thus providing a dreamy idyllic atmosphere. 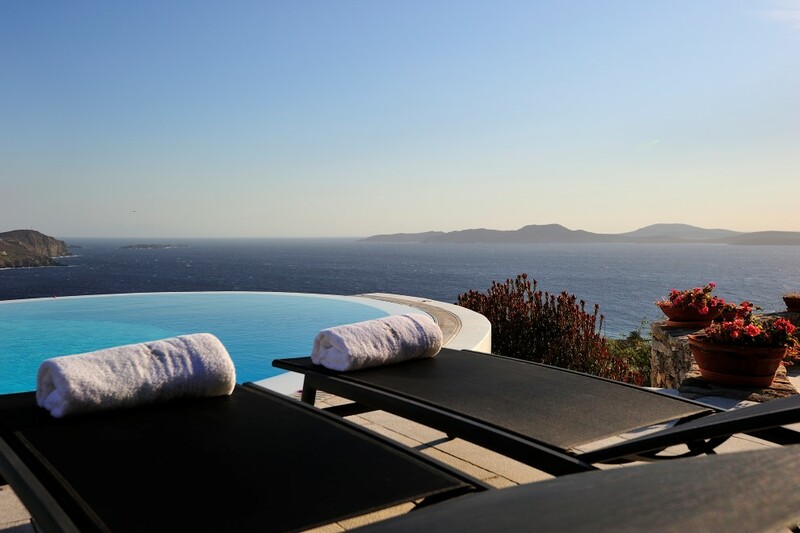 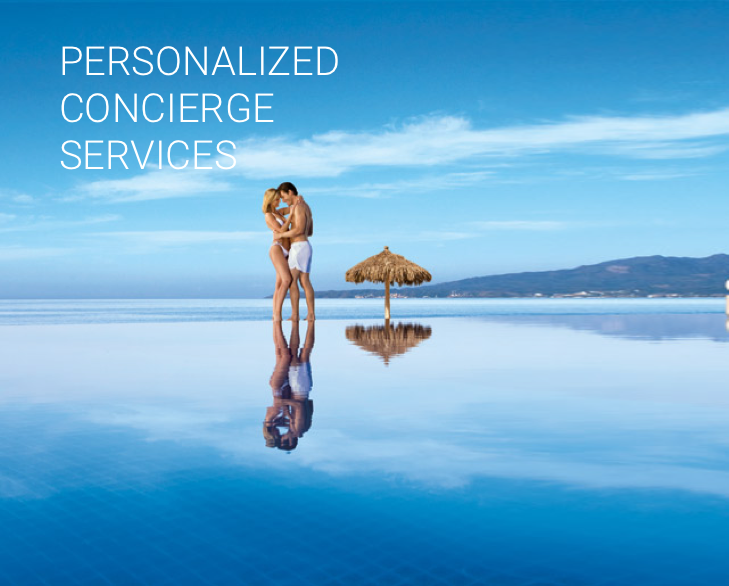 The infinity pool with the sun beds and the seating areas offer moments of refreshment and relaxation with views across the infinite blue of the Aegean. 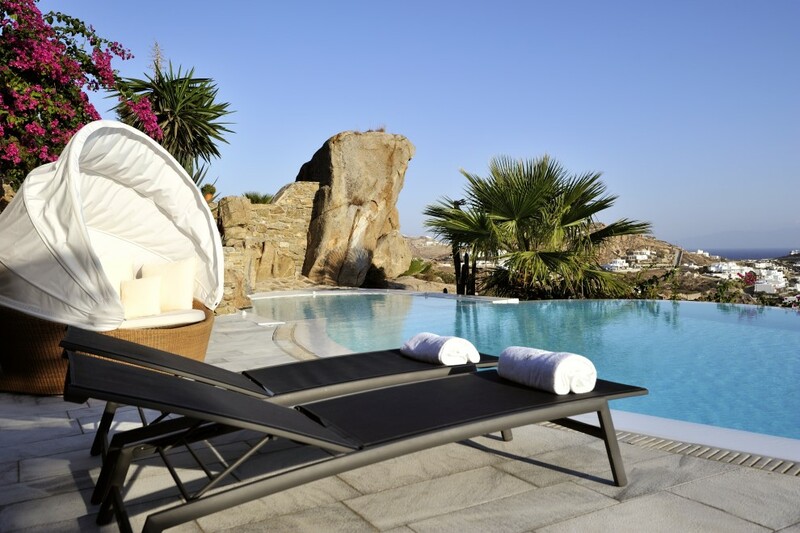 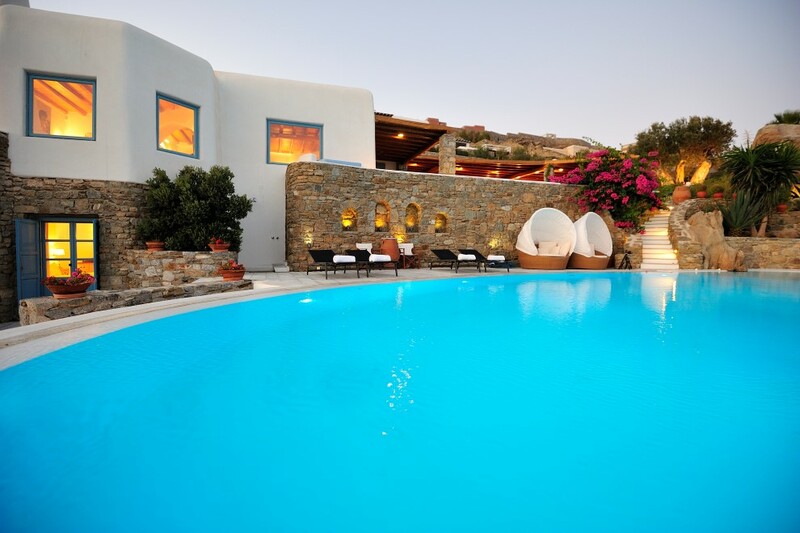 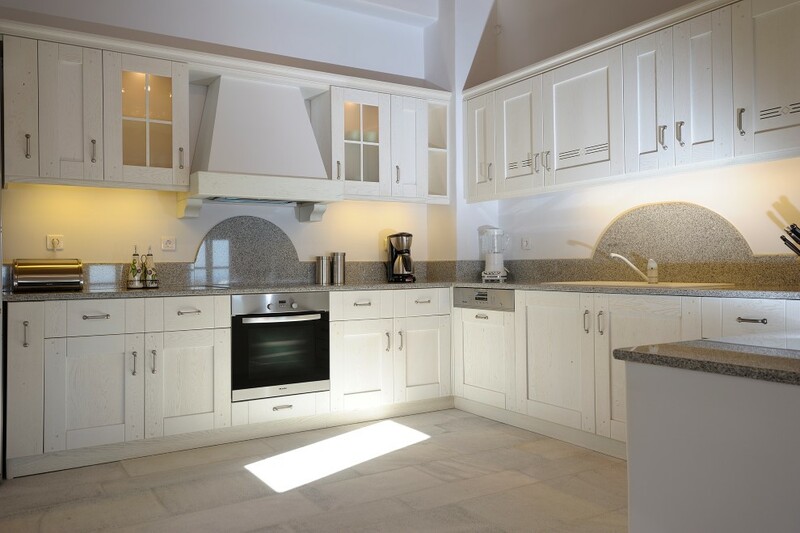 The luxurious villa “Mystique” is an experience in aesthetics which in combination with the beautiful location and easy access to the beach of Saint John and Mykonos Town guarantees incomparable hospitality.